SHOT DEAD: Peter Kurt Carrera (left), Josanne Ragoonanan (right), shot dead in the living room of his Diego Martin home on Saturday. PETER Kurt Carrera, 37, opened the door of his Tomato Drive, Diego Martin home on Saturday night to greet a stranger who knocked and then asked for a light to smoke a cigarette. As Carrera looked out, the stranger pointed a gun and opened fire. As Carrera slumped to the floor, the gunman then turned his weapon on the victim’s girlfriend of one year, 21-year-old Josanne Ragoonanan, who was sitting in the living room. The couple did not survive the attack and were among six people murder on the weekend. Carrera’s relatives told reporters yesterday that he was well-loved in his community. They described his murder was senseless. Relatives said that at 10 pm on Saturday, a man with a brown complexion and whose hair was in a cane row style, came knocking on the door and asking for Carrera. Moments later gunshots rang out. “He knocked on the door of our house,” said a relative who lives next door to Carrera’s home. “But these days you don’t open doors just so, you ask who it is. My family looked through the window and asked, ‘who is there?’ and the man said he wanted a light. “When my family said she didn’t smoke, the man asked, ‘where Kurt?’ and she said he lives next door. He went next door and my family saw the man greeting Kurt. They greeted each other as though they knew one another.” Relatives said as they saw the man ask Carrera for a light, they (the relatives) went about there business thinking that a good friend of Carrera had come visiting. The gunshots alerted them to how wrong they were. When the shooting stopped, relatives checked on the couple and found Carrera lying in the living room while Ragoonanan was slumped over on a chair facing the door. Police and emergency services were alerted but by the time they reached it was too late for the couple. Both were pronounced dead on the scene by a District Medical Officer. Relatives described Carrera as a “sweetbread”, a person who was well-loved by the community. They said Carrera, a mechanic, would always find ways to help children in the area and cared for them although he did not have any of his own. “He would take the village children and feed them and clothe them and raise them as his own. He really loved children,” relatives said. Carrera’s relatives also described Ragoonanan as a kind and caring woman. They said since she got involved with Carrera she quickly became part of the family. About a half hour after Carrera and Ragoonanan were killed, Kareem Garcia, a 27-year-old of Never Dirty, Morvant was shot dead near his home on Thompson Drive. According to reports, Garcia was liming with a group of friends on Thompson Drive when at 10.30 pm gunshots were heard. When residents checked, they found Garcia and two other people, identified as Fay-ann Cordner and Michael Edwards, bleeding from gunshot wounds, on the road. All three were taken to the Port of Spain General Hospital, but Garcia was declared dead on arrival. Cordner and Edwards, who were shot in the lower back and the left buttocks respectively, were still being treated at hospital up to press time with their medical condition described as serious but stable. Eyewitnesses later told police they saw a white station wagon speeding away from the scene shortly after the shooting. When Newsday visited the area, relatives were reluctant to speak. A man who claimed to be a relative of Garcia described the deceased as a humble businessman who did everything he could to take care of his five-year-old daughter. In an unrelated incident, at about 3 am yesterday, a 22-year-old Maraval man was fatally stabbed by a woman during a heated argument in a bar. According to police reports, Adrian “Tec” Grant of Celestine Trace, was liming at a bar in Maraval, near the jeep stand, when he got into an argument with the woman. The argument escalated and the woman stabbed him in his chest with a knife before running off. Grant was taken to the Port of Spain General Hospital and died while being treated. Police said they have not yet arrested the woman who is believed to be from Mango Rose in Port of Spain. On Friday night, schoolboy Akil Phillips, 16, who was holding his cellphone, a loaf of bread and a tin of sausage, was murdered as he was making his way to his grandmother’s home. Phillips left his Block 22, Laventille home and was walking towards his grandmother’s home when he was robbed of his cellphone and then shot dead. Also on Friday at 5.15 pm, Kenton Jackson, 25, was found murdered at Piarco Old Road in Maloney. Jackson lived in Redhill, D’Abadie. He was shot multiple times. 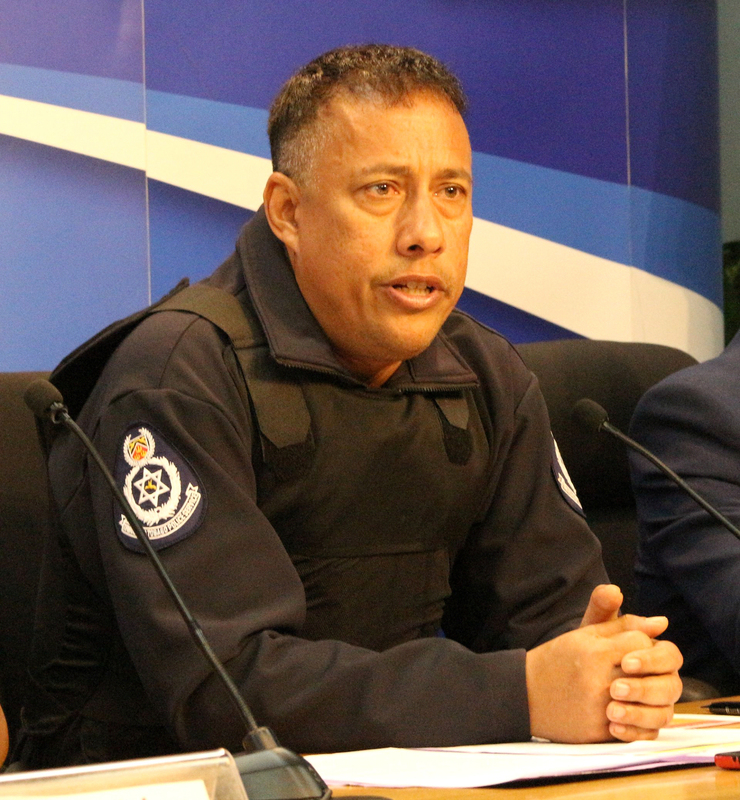 With the murder toll at 127, Commissioner of Police Gary Griffith assured the public that they are putting full emphasis on each murder, to ensure they are solved quickly and there are no reprisal killings. Griffith also pointed out that there were no murders from March 29 to April 4 – a six-day lull, where no one in the country was killed. Griffith also assured that he is responding to the spike in murders, however, he would not give details as to how. “You will see in the next few days what will happen in response to this,” Griffith assured.